Want to grow at least some of your own fresh ingredients? If you think you’re limited by a small garden, don’t be! You just need to use your space wisely. 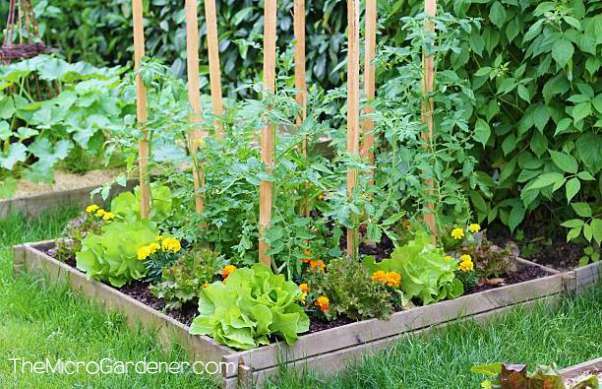 Few people have the perfect area to grow a productive food garden. So, clever design and plant choices are vital for success. I help my clients to maximise the food they grow even when their garden is tiny, on a slope, in the shade, narrow, has poor soil, too much or not enough water and the list goes on! These tips will help you do the same. Grow the foods you love and buy most often. If you’re going to spend time growing food, it should provide ingredients you will use and save money on your shopping bill. 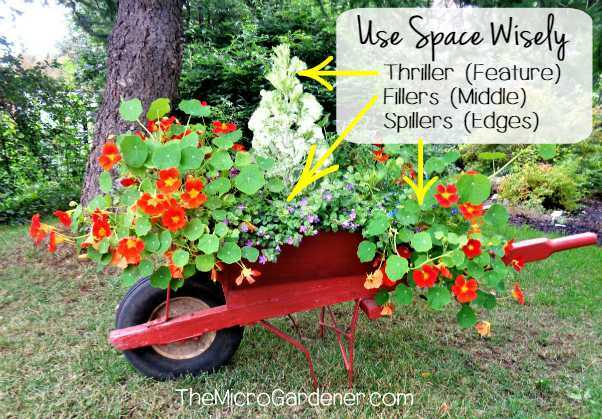 If you’re mowing lawn or growing plants that don’t serve you, you could be wasting valuable space in your garden! Make tough choices. 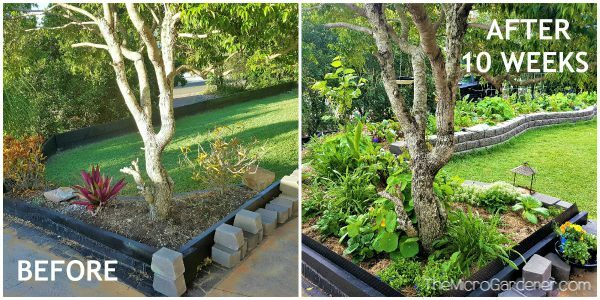 A front garden makeover at one of my clients – Before with lawn; After 10 weeks – a productive pretty edible garden! Dig up the lawn and save money on mower fuel! 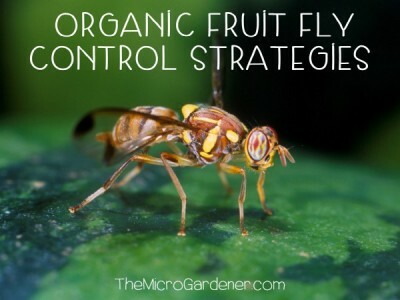 Sell your ornamentals, so you have more space (and money) to grow food. For example, if you are buying a weekly organic food box, aim to cut the cost by a third or half by supplementing some of the ingredients from your own garden. If you love salads, then it makes sense to avoid chemically grown produce by growing lettuces and salad ingredients. If you have a balcony, use railings. Dedicate at least one wall or a tiered structure to grow vertically. Is your backyard too shady? Grow food in your front or side garden. This narrow space down the side of the house is divided with a pathway and picket fence to keep animals out with a feature pot beyond. Trellises at the back of raised gardens are perfect for climbers to take advantage of sunny vertical space and add interest to break up pale walls. Do you have limited sunlight on the ground? Grow up on a fence or retaining wall. Use a vertical garden structure like hanging baskets, a trellis or arbor to optimize unused air space. Are you growing a lot of food – but not all successfully? If you’re growing too many plants poorly, pull it right back and re-assess! It’s better to grow a few plants really well. Pick your best location and focus on that area first. Too many food plants competing for nutrients and sunlight may actually limit your harvests. Often LESS plants in a space = MORE food if they are healthy and productive, rather than struggling. e.g. One healthy tomato given adequate space, nutrients and water can yield more fruit than several lanky tomatoes in poor soil or small pots. Decide which herbs or vegetables are most valuable to you. Learn to grow them well. Then you can expand. Small goals are easier to achieve. You’ll feel more joy and less overwhelmed. For example, if you start with one large square pot, you can grow fresh ingredients for your salads. Plant a capsicum in the middle and smaller herbs like basil, parsley, spring onions, rocket and nasturtiums around the edges. There’s enough variety and flavour to last you months of harvesting. 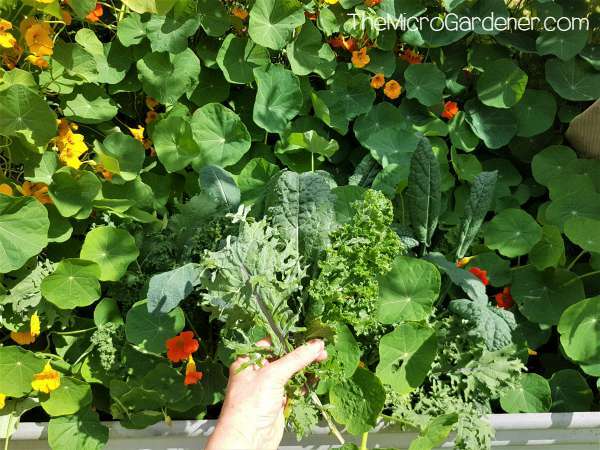 This plant combination can all share the one space if you harvest regularly and grow in nutrient-rich potting mix. 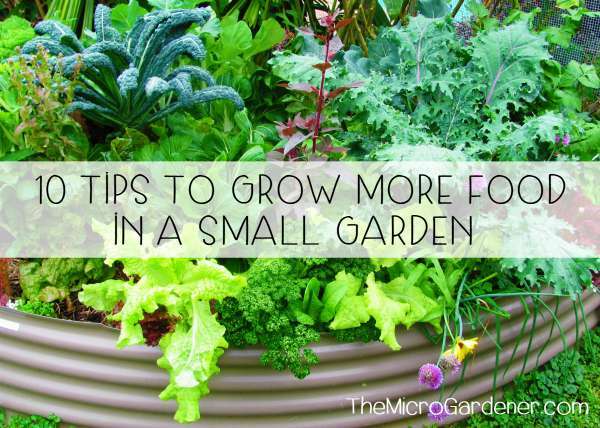 Most herbs and vegetables only need the top 20-30cm (8-12 in) to grow. 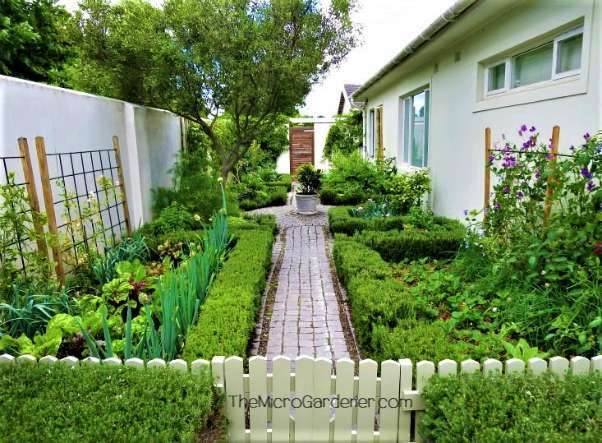 Avoid the expense of deep raised garden beds, unless height access is important for you. The extra depth is usually wasted. Intensively plant. Mix shallow (leafy greens) and deeper rooted vegetables (root crops) to optimise soil space in your container garden. Leafy shallow rooted spinach and beetroot maximise root space in my waste paper basket upcycled pot. Group a few large pots together. It’s more efficient, water and space saving than lots of small ones. Rectangular and square planters don’t waste space like round ones. You can also fit more plants in. No empty corners wasted. Use a quality potting mix that holds moisture and nutrients, so the food you grow thrives! Dwarf fruit trees, compact vegetables and microgreens are ideal choices. You can underplant potted fruit trees with shallow rooted edible flowers or herbs to optimize space. You may have to compromise on yields or the size of the vegetable in some cases, but there are loads of options. Mini melons, pumpkins and cucamelons are just a few vegetables to try. They need less water than larger cultivars, so you save money too. I’ve converted many of my clients to growing dwarf bananas as they provide a faster harvest and use less water. A more sustainable choice in a dry climate. Fast growing tiny space crops include microgreens and sprouts. Both can be grown indoors with sufficient light. Sunny window sills are perfect. Stack microgreens on tiered trays or shelves to maximise space. Succession plant regularly for a continuous supply. Spring onions, chives, leeks, garlic and society garlic are all skinny allium herbs that take up minimal space. ‘Pick and pluck’ loose leaf lettuce and spinach varieties are compact. That’s because you harvest individual leaves as they grow, rather than waiting until they fully mature. 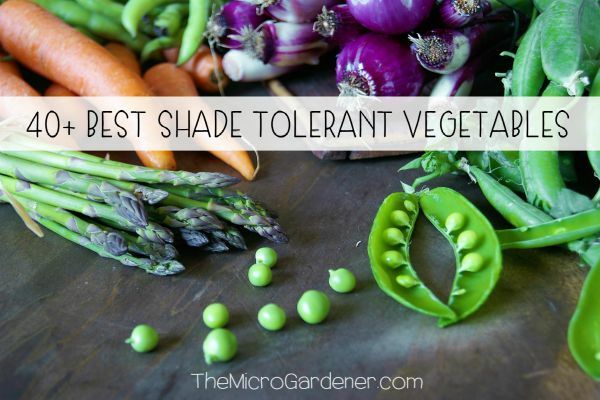 There’s a long list of fruit, vegetables and herbs that will tolerate light to medium shade. So, if you have a shady space you’re not using, don’t despair! 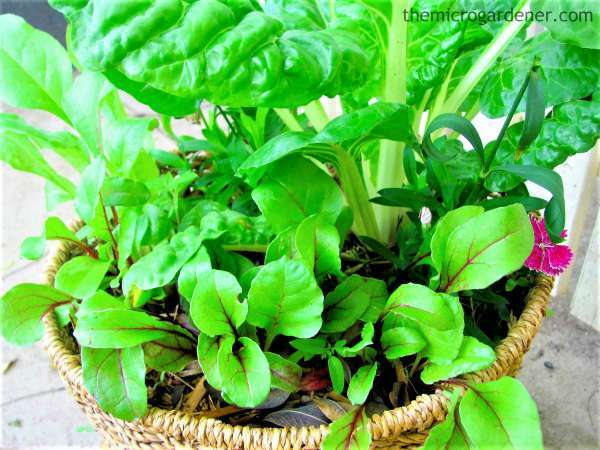 Try leafy greens, coriander, chives, spring onions, ginger, turmeric, bananas and nasturtiums. I grow a huge variety of food under 2 large trees with filtered light, with great success. They grow more slowly with less sun, but you’ll water less often. That’s a bonus. Sow plants that partner together to optimize space. For example, tall growing sunflowers provide stems suitable for climbing beans to grow up. After the sunflower establishes, sow the bean seed. These flowers also attract pollinators for a larger bean crop and free seeds to eat. You’ll get a bigger harvest planting together, than separately. 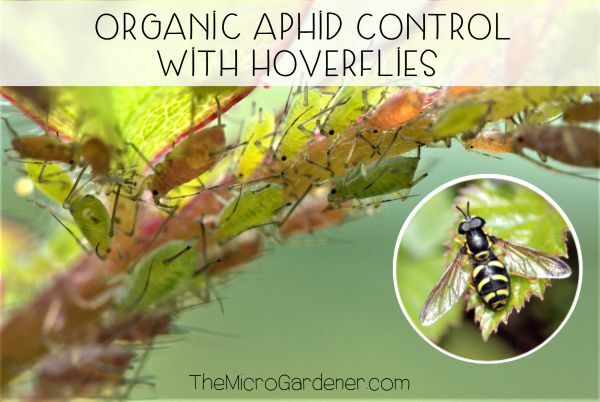 Ornamental plants that don’t provide food value can make useful interplanting companions too. Flowering shrubs may shade or protect low growing edibles. e.g. lettuce or herbs, while attracting beneficial insects. Tuck your smaller crops into wasted gaps. Balconies, patios and decks are some of the most underutilized spaces for growing food. I often flag these as opportunities when working with my clients. Use this valuable space for pretty productive planters on brackets or fitted pots. 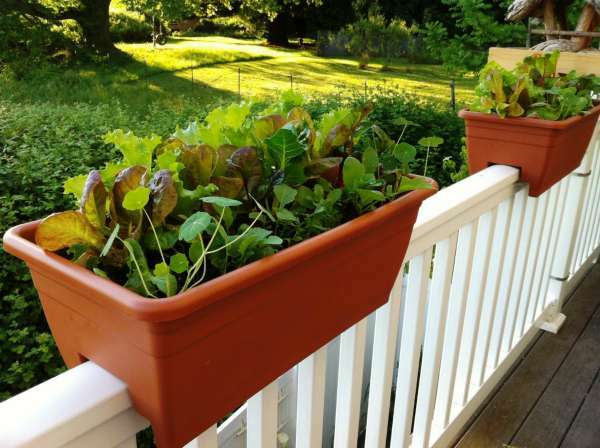 These pots are intensively planted with salad ingredients like loose leaf lettuce, leafy greens and nasturtiums. Fill with quick picks like strawberries, herbs, edible flowers, lettuces, radishes and stir fry vegetables. Rather than taking up valuable room on the floor, railings provide an opportunity for visually attractive, easy access food gardens. Some vegetables, fruit and herbs are natural ‘wanderers’. They have a cascading or spreading growth habit. 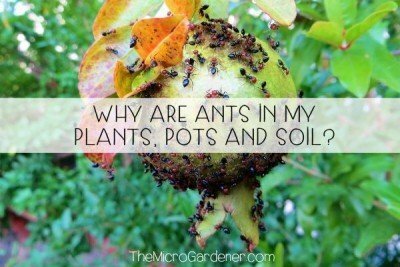 Use this to your advantage in a small space garden or containers. e.g. Plant thyme, oregano, strawberries, sweet potato and nasturtiums around the outside of pots and garden beds so they can spill over the edge. This way they don’t take up valuable space within, apart from their roots. Hanging baskets and stackable planters are ideal for these crops. One technique is to use the Thriller, Filler and Spiller combination. A focal, tall or feature ‘thriller’ plant in the centre. Surround this with low growing edibles or flowers as ‘fillers’ and around the edge, sow ‘spillers’. Those that take up more ‘personal space’! As an example, this wheelbarrow portable planter has a central attractive ornamental kale as the ‘Thriller’. ‘Fillers’ are flowers and vegies (on the other side) and matching ‘Spillers’ are orange edible nasturtiums cascading down front and back. Avoid wasting space with wide pathways. Narrow access that allows room for planting and maintenance is all you need. Add paving stones to garden beds so you can step in or kneel if necessary. 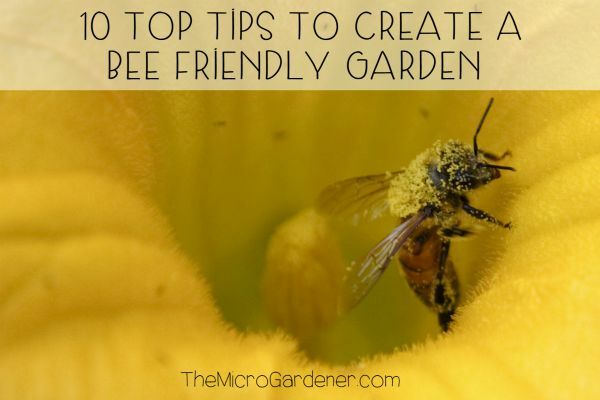 I hope these ten tips help you to grow more food in a small garden space. © Copyright Anne Gibson, The Micro Gardener 2019. https://themicrogardener.com. All rights reserved. Some links within this newsletter are affiliate links. I only recommend products or services I use personally or believe will add value to my readers. If you purchase a product via an affiliate link, I will earn a small commission (and I mean REALLY small)! There is no additional cost to you. It’s a way you can support my site, so it’s a win-win for both of us. You directly support my ability to continue bringing you original, inspiring and educational content to help benefit your health. Thanks! Please read my Disclosure Statement for more details. Wise advice. I have some favorite foods that provide the most bang for the space buck. One of those is beets. You can eat the root AND the greens….what’s not to love about that. And sweet potatoes. Roots and greens….and they don’t mind neglect. Thanks again for the great article.